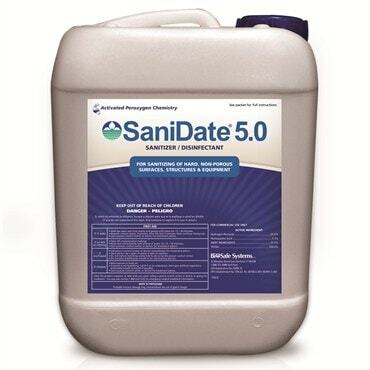 Effective hard surface sanitizer and disinfectant for use in greenhouses including ones growing edibles. Effective against plant and human health pathogens and provides immediate pathogen control on food contact hard surfaces, equipment and processing water. This alternative to chlorine is not pH dependent and leaves no residue on produce that will affect taste or quality. Active Ingredient: Hydrogen Peroxide and Peroxyacetic Acid.